Loot Hoarder is my favorite early card to play. This Neutral only costs 2 mana. His modest 2 attack and weak 1 health may not seem that great, but he gives you an extra card when dies. Having more cards than your opponent is an excellent Hearthstone battle winning strategy. More cards means more options. As soon as you play the Loot Hoarder, something good is bound to happen. In the best case, you’ll do a little damage to the enemy hero or destroy a minion and then get a card. In the worst case, your opponent will waste a Silence ability on it. That means you won’t get your extra card, but that’s also one less Silence that could potentially ruin one of your later threats. I especially love using the Loot Hoarder in my Paladin deck with the Redemption secret. Redemption brings a killed minion back to life with 1 health, which is perfect for a card that already has 1 health anyway. Using Loot Hoarder and Redemption together can net you two extra cards. Loot Hoarder costs 40 Dust to craft. Here’s another valuable 2 mana minion. This Expert common has a great stat distribution at 3 attack and 2 health, making him a threat to some 3 mana cards. But what makes him so effective is his Battlecry; he can return a minion on the board to you hand. So if your opponent injures a valuable unit and you have no way to heal it, you can send it back to your hand and replay it later at full health. I, though, prefer getting a double-dose of a unit’s Battlecry or Charge. So after I, say, deploy a Shattered Stone Cleric (which adds 1 to a minion’s attack and health) or a Defender of Argus (which gives adjacent units’ attack and health a plus 1 bonus and Taunt), I like to play the Youthful Brewmaster, return the card with the cool Battlecry to my hand, and if I have enough mana, play it again that round. Youthful Brewmaster costs 40 Dust to craft. the Blood Imp is one of my favorite cards in the Warlock deck (it’s a common expert card). For 1 mana, you get a Stealthed minion (a card that your foe can’t directly target until it makes an attack) with 0 attack and 1 health who gives another random friendly minion +1 health at the end of your turn. One of my favorite opening tactics is using the Coin card to gain 1 additional mana and pairing the Blood Imp up with the Flame Imp, giving me a powerful 3/3 minion at the end of my first turn. If the Blood Imp lives long enough, things can quickly spiral out of control for your opponent, who now has to deal with a board full of buffed minions. Blood Imp costs 40 dust to craft.
. Even if that isn’t the case, Ragnaros can dish out a lot of damage without having to wait a turn to get ready. Just watch out for decks with transformations spells like Hex and Polymorph — they will neutralise him. A great low-mana Neutral card. At 2 mana, the Crazed Alchemist already is decent with 2 attack and 2 health. However, this rare card can turn the board to your favor with his Battlecry, which swaps a minion’s attack and health. He can turn your high life, low attack minions — such as a low-mana Oasis Snapjaw — into a 7 attack powerhouse early in the game. But I prefer to use Crazed Alchemist against my foe’s units. Crazed Alchemist can instantly render high life, low attack Taunt cards such as Shieldbearer or Mogu’shan Warlord useless, killing Shieldbearer in one stroke and leaving the warlord with just 1 life. Used offensively, it can cancel a foe’s high attack, low life minion such as a Reckless Rocketer, making them less valuable pieces, especially when your opponent focuses on offense. Crazed Alchemist can even help you remove the Legendary dragon Ysera from the board, turning her intimidating 12 life into 4. A good use for Crazed Alchemist is as a one-shot kill for the Legendary, Nat Pagle. At the end of your foe’s turn, Pagle has a 50 percent chance of drawing a card, so removing him is important. Throw a Crazed Alchemist at him and Pagle, with 0 attack and 4 health, now has 0 health. Crazed Alchemist costs 100 Dust to craft. Another of my favorite cards also costs just 2 mana — the Knife Juggler, a rare Neutral. With 3 attack and 2 health, he’s already a great deal for 2 mana. But it’s his Battlecry that I adore — he throws a 1 damage knife that hits a random enemy unit or hero whenever you summon a minion of your own. I love pairing Knife Juggler with one or two cards with Taunts to protect him on the board and then use cards that summon more than one minion at a time — Unleash the Hounds, Snake Trap, or Savannah Highmane as a Hunter, the Druid’s fireball equivalent Force of Nature, or Neutral cards such as Silver Hand Knight. These cards give the Knife Juggler two or more chances to throw knifes — essentially giving you additional attacks for free. Knife Juggler costs 100 Dust to craft. Tirion is the Paladin-specific Legendary card. He costs 8 mana and has 6 attack and 6 health, but he has other useful bonuses. Want to know what a Hearthstone card taunt ability does? He Taunts, meaning that your opponent has to attack him before any non-Taunting minions or your hero, and has Divine Shield, which protects him from all damage the first time he’s hit. Best of all, he automatically equips you with a strong weapon upon death, so this card gives you value even after he’s destroyed. Just watch out for decks with silencing or transformation abilities, since those will get rid of all of Tirion’s awesome bonuses. Tirion costs 1,600 Dust to craft. Ragnaros is a Legendary card with a high cost of 8 mana, but he’s easily worth it. He has 8 attack and 8 health but can’t directly attack anyone. Instead, he’ll do 8 damage to a random enemy minion or hero at the end of each turn, including the one you used to play him. Ragnaros works best as a finisher. If your opponent has 8 or less health left and no minions, play this Hearthstone card for an easy win. Ragnaros costs 1,600 Dust to craft. Houndmaster, a Hunter minion that gives a friendly beast +2/+2 and Taunt.The downside is that you must have plenty of beasts in your deck for the Houndmaster to be effective, but the Houndmaster is also a formidable minion on its own. Plus, it’s a great counter to the Mage’s Polymorph spell. You earn Houndmaster by increasing your Hunter class level. A good strategy to use if playing as a Priest is to load up your deck with Northshire Clerics, who grant an extra card every time you heal a minion. The Priest’s special ability lets you heal 2 points of damage in exchange for 2 mana at any time, so if you put out a few Northshire Clerics, you can quickly end up with a larger hand and more attack options. However, the Northshire Cleric isn’t too tough, so it’s good to double its health with Divine Spirit so that you can keep drawing more cards. You earn Northshire Cleric by increasing your Priest class level. The most devastating late-game card is the Priest’s Mind Control spell, which uses all 10 of your mana but takes over an enemy minion. It’s satisfying to watch your enemy build up one unstoppable minion, like a rare dragon, only to make it switch sides when it’s your turn. This is a card that can single-handedly turn the direction of a match, so be sure to use it wisely. You earn Mind Control by increasing your Priest class level. Junk Jack X is a Minecraft alike game played in 2d that is very reminiscent of Terraria,but also super addictive and very much in need of a walkthrough! How many worlds(dimensions) in Junk Jack ?5 different dimensions. How many crafting recipes: over 750 crafting recipes. The plethora of things continues with 1600 treasures, 350 peaceable items and over 150 different mobs! 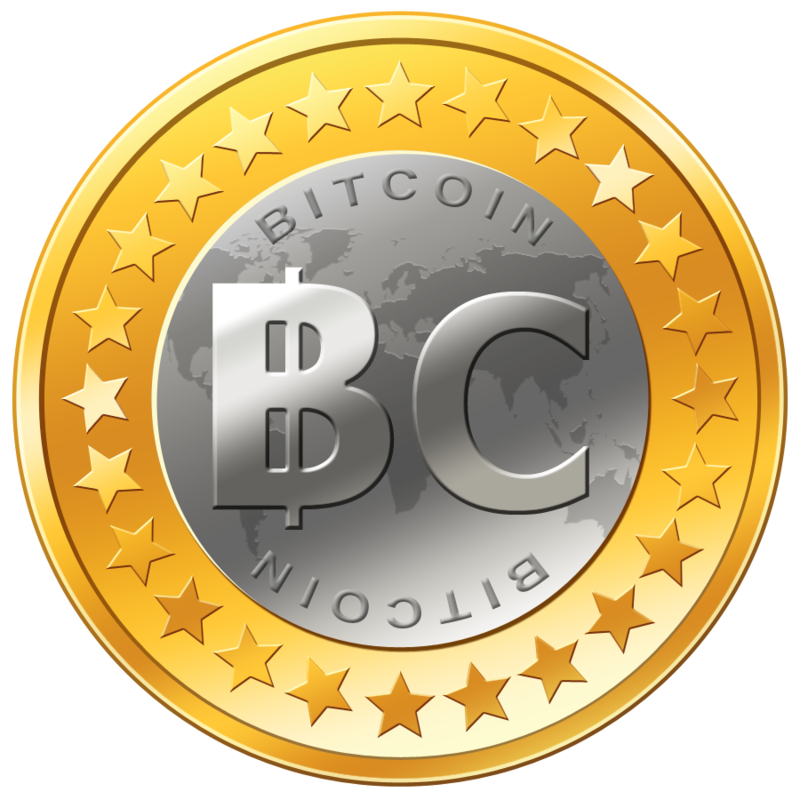 The shop contains a list of IAPs that can be purchased. None of these IAPs are necessary but some may want to buy these IAPs. Some of the IAPs drop items, some are solely for texture changing and some are very useful. If you do not want to find all of the crafting recipes, it is recommended that you should purchase the “Full Craft book”. The Pixbits Shirt and Tiny Jack are free! Now that you are familiar with the options and shop, it is time to create your character and worlds! Tap the “New Game” icon. It will transfer you to the player creator interface. Here you can customize your player. Some customizable features include gender, shoe color, shirt color, short color, skin tone and hair style. You are also able to edit your player name! Beware than once your player is created, you will not be able to edit it. The only way to edit it is to delete it via the “Misc” option in the options menu, however if you delete your player, your inventory will be deleted! Now that you have a player, it is time to create your world! You are able to store an unlimited amount of worlds and you are also able to re-name the world to your liking. It is recommended that you create an Adventure world for your main adventure. Make sure you fully light up your base, otherwise hostile mobs will spawn in your base! Now that you have a base, you will be safe during the night. Avoid staying out at night initially or the mobs will have ya! Now, create a workbench. The workbench will be used to create other addons. You will most likely not be able to craft a bed as you will need to create an iron bar. Congratulations! It is now nighttime and you are safe in your base! Mining in Junk Jack X is simple. There are 5 different planets in JJX, as your progress to each new planet, each new planet contains a new, more powerful ore. Find portal pieces and place them in a triangle with a space in the middle to unlock new worlds,there are about fifteen portal pieces per world.The better the ore, the stronger the tool, the more durable the tool and the more slots you get in a chest! These are the types of ores that can be used to craft tools, armor and chests: Copper, Iron, Silver, Gold, Mithril, Antanium and Titanium. There are also different biomes underground, such as librarys and mineshafts. The deeper you go underground, the more powerful mobs get but the better loot you will find! There are three different types of liquids in JJX. Water, Lava and Acid. Jack can drown in water and he will take damage if he steps in Lava or acid. These liquids will also damage mobs! Acid is found only in Xeno! Beware that items can be burnt (deleted) if they are thrown into lava. Liquids will also break addons! Make sure you don't mis tap otherwise a liquid will break your chests, ladders, decorations and addons. Be extra careful with lava as it Wil break your addons but then it will delete the addon items! When Jack enters water, a line of bubbles will appear underneath the health bar. They will slowly deplete as you stay underwater. When Jaxk reaches the surface, the bubbles will slowly start to reappear, almost as if Jack is out of breath and is slowly starting to breath again. You can also get certain trinkets that will make you immune to drowning, damage from lava and damage from acid! The update is on the horizon where the much sought after pet ability will be released and who knows you may even be able to get for omega 3 supplements! Many thanks to the Junk Jack forums and its most imminent user. From whom this JJX guide was adapted. What Clash of Clans Hacks work? With Boom Beach storming up the charts( as expected) and strange rumblings coming from an in game YouTube linked video advertising a new game/show Clan Wars coming from the deep pockets of SuperCell. (As an aside what is actually going on in that video!! A camp Hog Rider doing some sort of in raid serenade, I'm a bit confused about the Clan Wars video to be honest). It makes you wonder if any of these Clash of Clans Hacks actually work. My friend owns http://bestfreedownloadgames.com and it's the posting on there( as well as some pretty awesome downloadable games,about 90% work on the iPads Safari browser). That's led me to release this general post for community comment. So which Clash of Clans hacks work for you? If any? 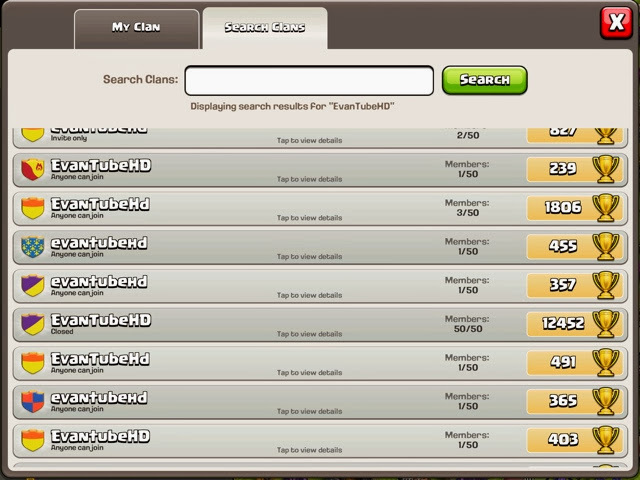 If you know what EvanTube HD is you'll be interested in finding the EvanTube Clan in Clash of Clans. If you're not a fan,then you're probably above the age of ten and better skip this article! Still for my kids and others who love Evan and want to join the EvanTube HD clan in Clash of Clans, here's how to do it. First of all here are the clues we used. Of course the Clan is called EvanTube HD, so type those words in exactly. By watching the show we also established that evan's Clash name in StarKid. Combine that with a knowledge of who this semi professional gamer is and his clan logi and his layout and we established that the TownHall above is Evans. Look at the same clues from the photo to find him. Unfortunately the clan is closed so you'll be lucky to get into EvanTube HD, at least the real one as there are many copies. The underneath pic shows how many copies there are and which is the real EvanTube HD clan.